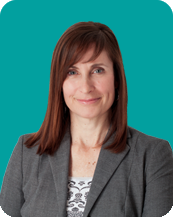 Kelly is a business professional with over 25 years’ experience in the dental industry. Her expansive skills range from clinical to consulting in practice management where she assessed practices across north America. Kelly provided strategic plans, which provided solutions and scenarios that supported the goals and needs of today’s dental practices. The ability to show clients the potential that the future holds is the motivation that is evident in her presence. This diverse career gives her a strong knowledge of the business of dentistry. Kelly’s professional career has evolved as a result of her strong focus and passion to continue learning and has been inspired to help her clients achieve their goals in line with the future of dentistry.